As always with well stored film, unless shooting colour critical subject matter (eg.fashion) it is unlikely there will be any visible impairment to the performance of this film, even 12-24 months beyond date. Fuji Fujichrome Velvia 100 is a very fine grained colour reversal (slide / transparency) film with high saturation and vivid colour. Offering an additional stop of speed over it's sister, Velvia 50, this is an excellent film for more varied conditions, such as travel photography where ISO50 is just a bit too slow. It posesses the same vivid colour as the 50, but in our opinion, it is slightly more controlled, especially in relation to delicate tones. As with the 50, it's ideal for nature and landscape photography. 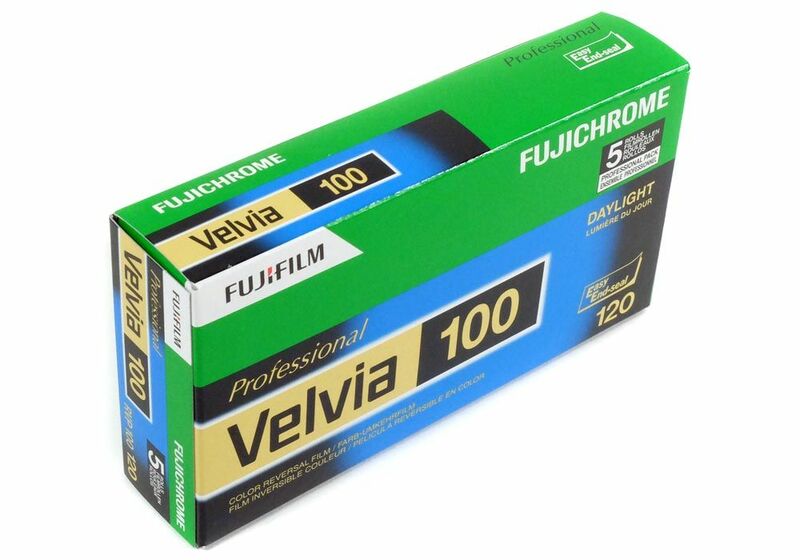 We obtain this film direct from FUJIFILM UK, it is factory fresh, and longest dated available. It has been delivered to Fujifilm UK from Japan through the proper chanels without the risk of x-ray.